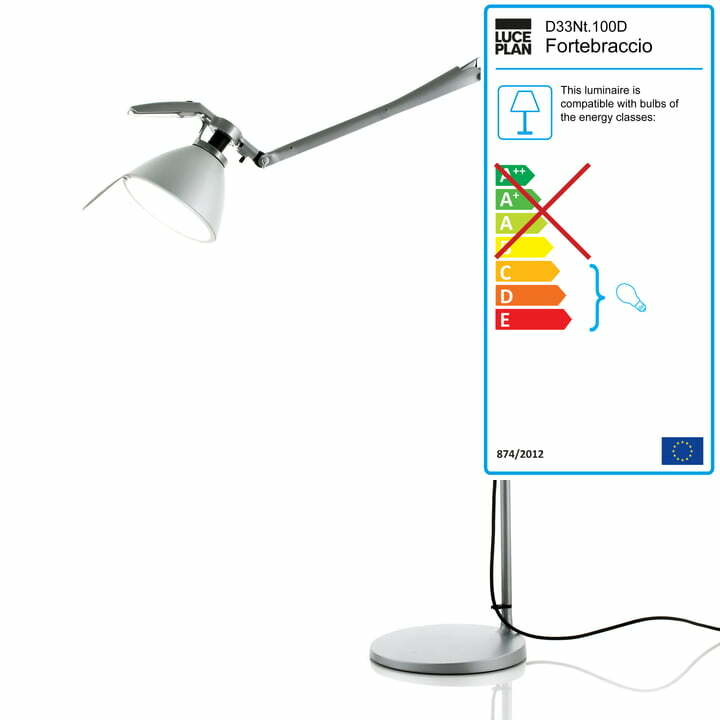 Practical and robust - the Luceplan Fortebraccio is the ideal work light. Thanks to the innovative central ball joint, the lower and the upper arm allow to be turned and aligned completely independently from each other. This way, you can adjust the luminaire in the most diverse and even in extreme positions. 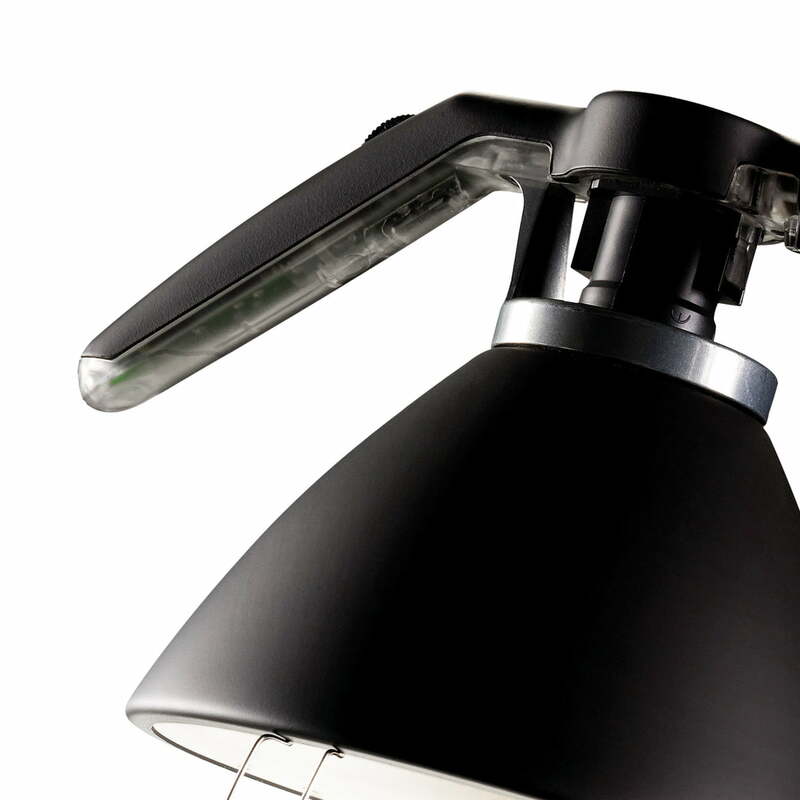 The ergonomic handle at the head of the diffuser serves for its flexible movement, the here integrated dimmer or switch provides a simple control of the light. 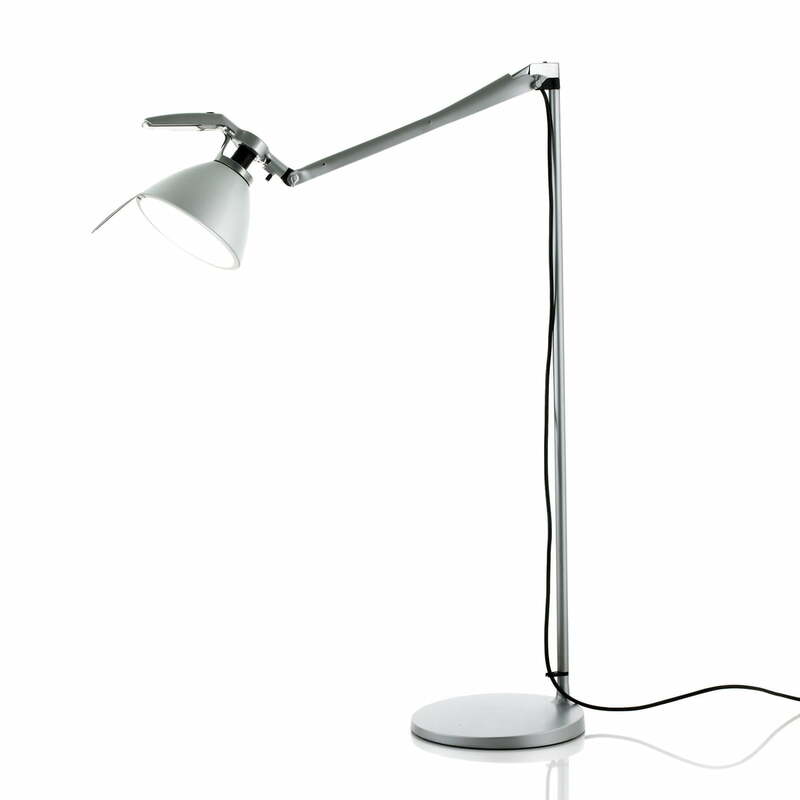 The Luceplan Fortebraccio floor lamp makes ideal use as reading lamp. However you can also use the floor lamp designed by Alberto Meda and Paolo Rizzatto as a spot lighting or for other purposes, thanks to their flexibility. Due to its modular construction, the Luceplan light is also available with other sockets and a screw mounting, as well as in different colours. As part of the same name series, the Fortebraccio additionally is available as a table as well as adjustable wall lamp.